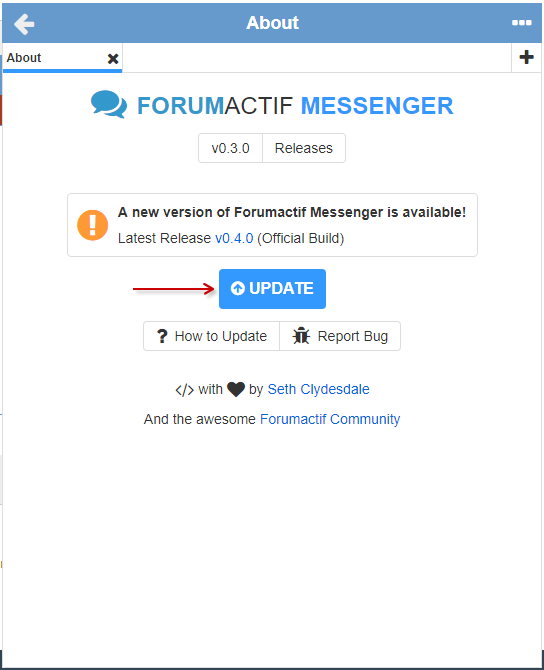 Some other feature Forumactif Messenger includes are..
Real time navigation and messaging. 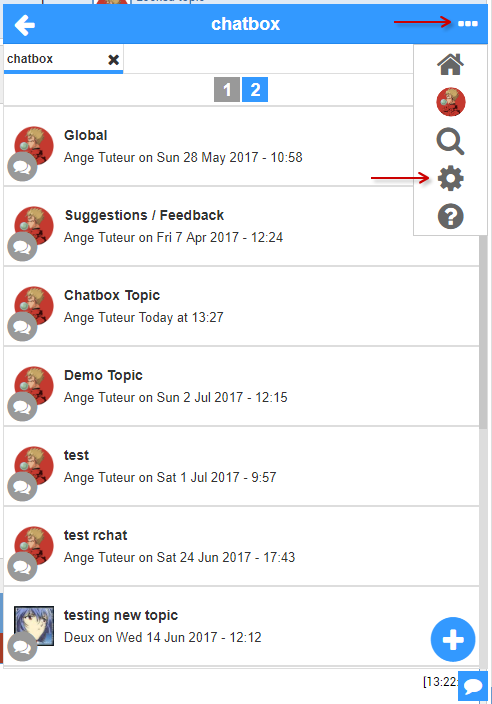 Tabs for having multiple chats opened at once. GIF Search and other attachment options. 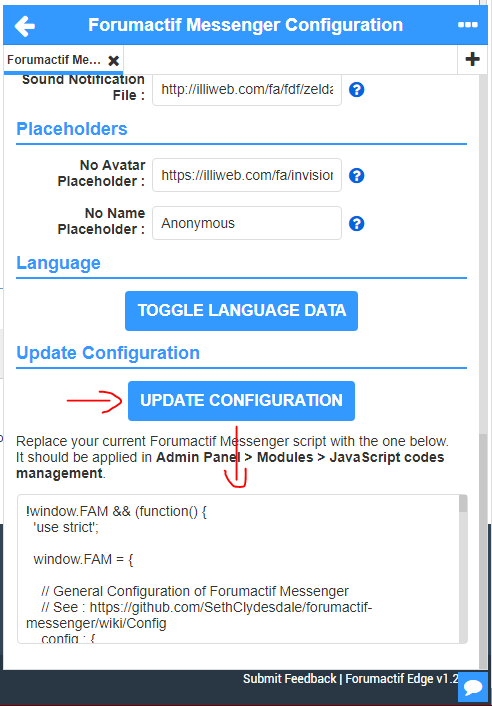 This should be all that you need to know about using Forumactif Messenger, we'll allow you to explore the rest on your own ! 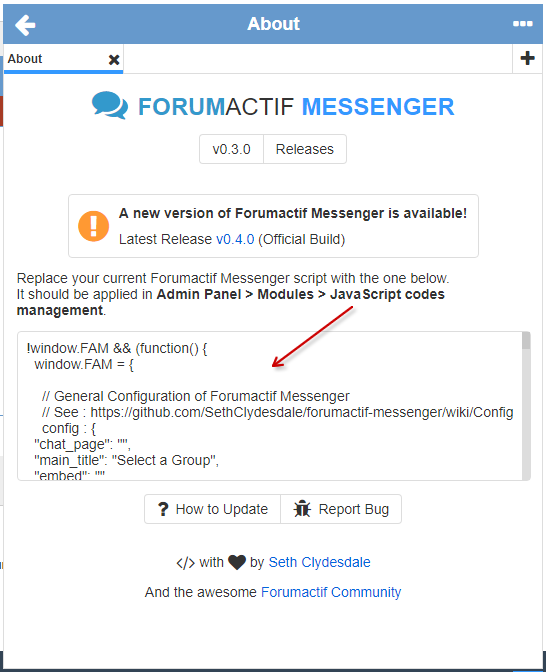 :yesss: If you'd like to help improve Forumactif Messenger, please see the next section. Nice code, Ange, I can say I'm impressed about this. I started working on a skin for FAM. The colors will be #f2f2f2 and #2f2f2f, which are black and white. Maybe #AEB3B5(gray) for the borders. It won't be anything special about it(unless inspiration strikes me ). It'll probably take me some time to finish it as laziness seems to be with me these days, and I also got a big list of other things to do. 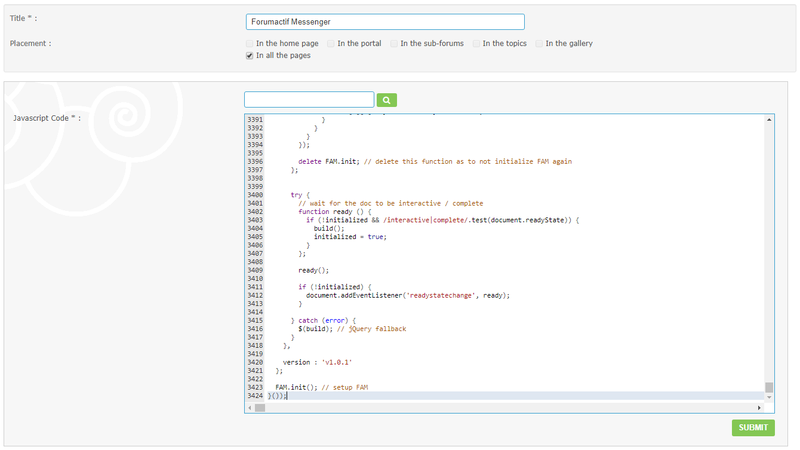 @Wolfuryo wrote: Nice code, Ange, I can say I'm impressed about this. @Harleen wrote: Very nice . Thanks ! I reviewed your pull request and everything looked perfect, so I merged it. Your translation should be online right as we speak. If you ever need to make any changes, you can repeat the same steps, only you'll be editing the existing translation file this time. @Ange Tuteur wrote: If you ever need to make any changes, you can repeat the same steps, only you'll be editing the existing translation file this time. Thanks, I forgot a few words , I'll review them calmly and then update the code. I also started learning PHP and things about databases. Planning to check Python as well, I heard it's a nice language too. 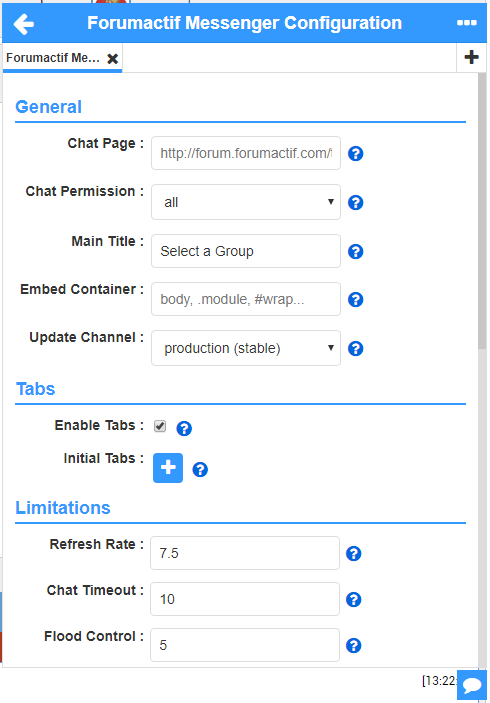 I'm currently experimenting with a phpBB3 forum(the platform, not the FM forum version). 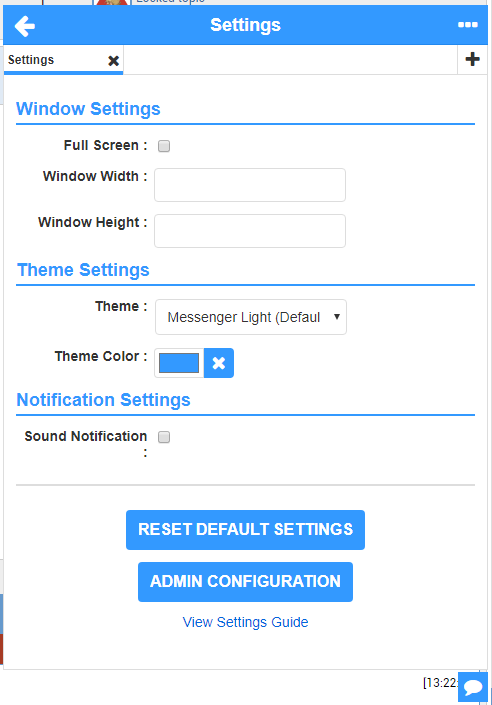 Modifying some of the templates can be a pain in the a**, but it offers far more control than forumotion does. I once lost a few hours trying to find a badly closed div . I've only skimmed through a couple of documents so far and it does look like it takes a lot more to write. The syntax is a tad similar to JS from what I've seen so far, which is kinda nice since I'm familiar with that lol, but definitely a lot of differences too. I'll probably delve in deeper once I'm finished being lazy. Thanks for reporting this. 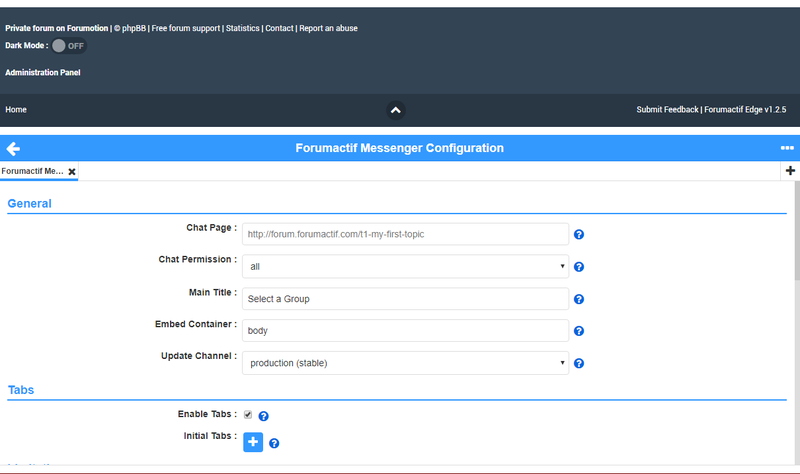 The issue is only with the demo ; I defined the chat_page after the script was already initialized, which prevented the script from adding ?view=newest to the provided URL. It wouldn't normally occur on the production script, unless you did what I mentioned before, but it should be fixed now. How can I help on translation mate? should be "lang". The question mark should not make any trouble in JS. That is awesome! But how to make BBcodes (like color) or personalized BBCodes codes to work (to show parsed)? Depends on how the JS code that parses the BBCode is made. Placing the code on all pages should allow parsing in FAM. If it's not working, then post the JS here so we'll look at it and modify it to work with FAM. On my js console it looks like somewhere the code breaks on }. 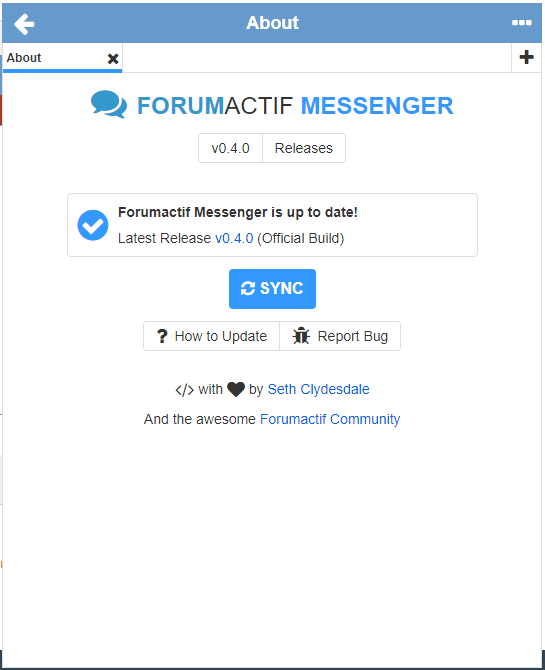 Thanks a lot for taking the time to translate Forumactif Messenger ! I went ahead and added your translation ; it should be available now. In regards to your error, there may be a typo somewhere. Click the link on the far right (99009.js:1:159794) to see what's causing the error. I didn't have any notable issues with your translation, so it might be best to try importing your translation from Github to see if that works. Thanks now it seems working perfect. I missed a translation on messenger main window the greek text for "Select a group" is "Επιλογή μιας ομάδας" can you update it please? If am I missed another text please let me know to translate it. Thank you very much @Ange Tuteur, I found it I was fixed it. Would it be possible to remove the ability to add and remove tabs? Via an option or other. Also, have a small icon to refresh the tabs without having to close all the tabs to have the option. You mean like a user option in the settings, correct ? 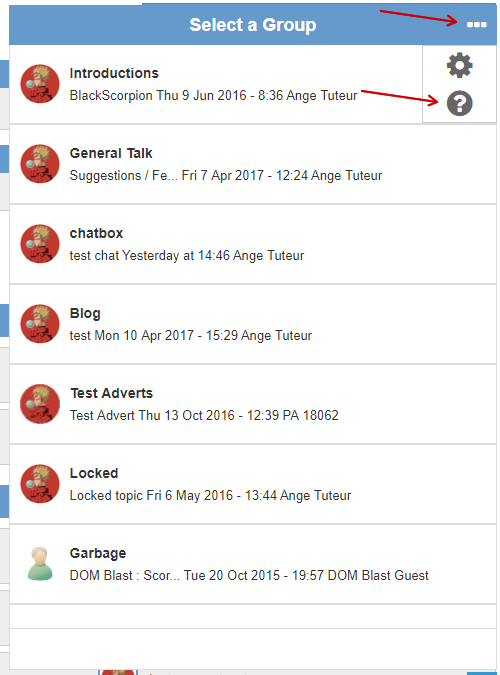 That should be possible to add via a new configuration option, or perhaps a value passed to chat_page, maybe like..
. I'll add that idea to the todo list. Yes but for the administration ! 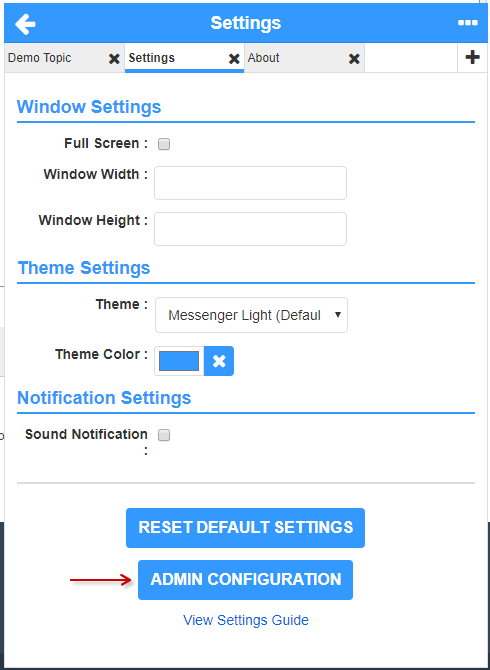 EDIT : Another bug : the HTML code bug in the "Administration bug" for initial_tab.